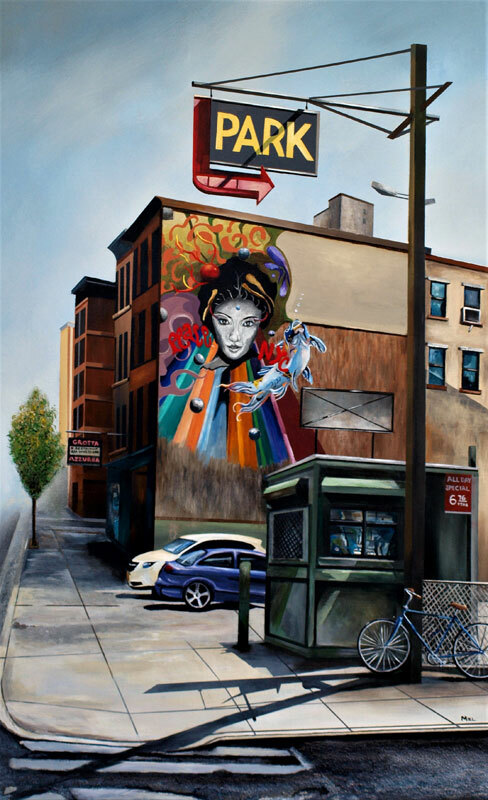 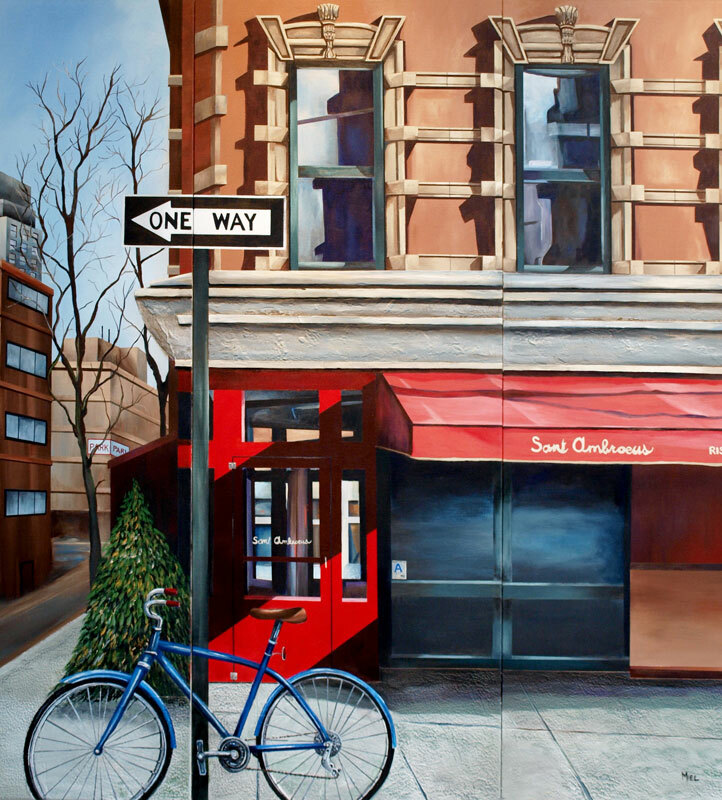 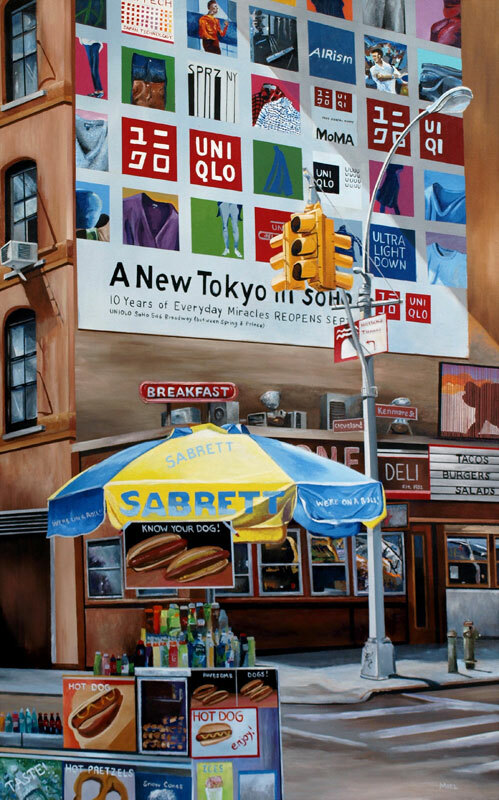 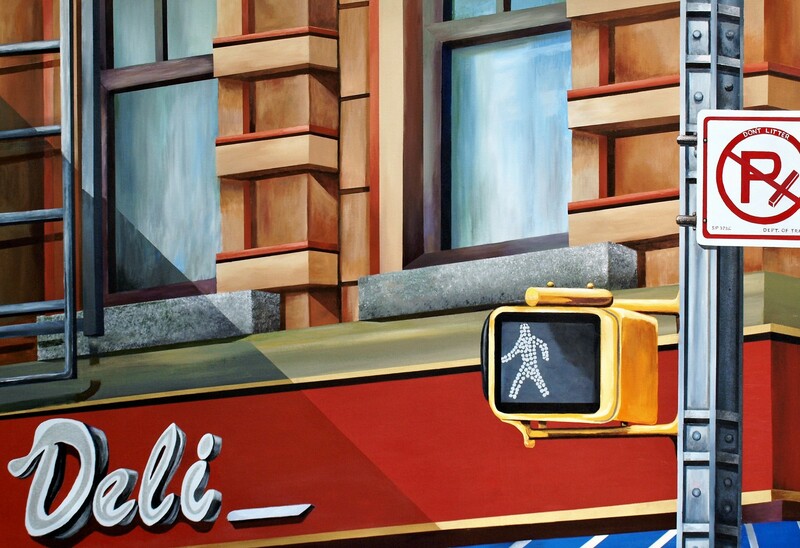 This current body of work I am developing speaks to capturing the vibrancy of architecture and street life in the urban environment notably New York City. 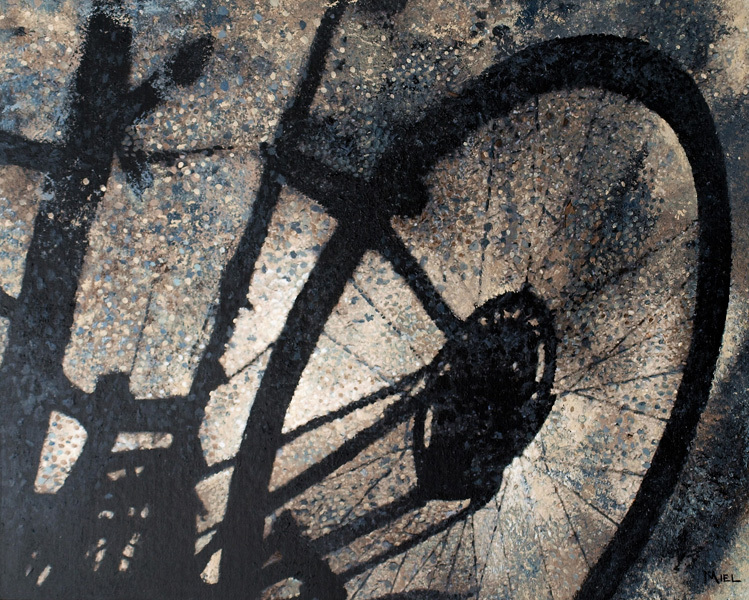 The work transitions out of my mixed-media photo pieces. 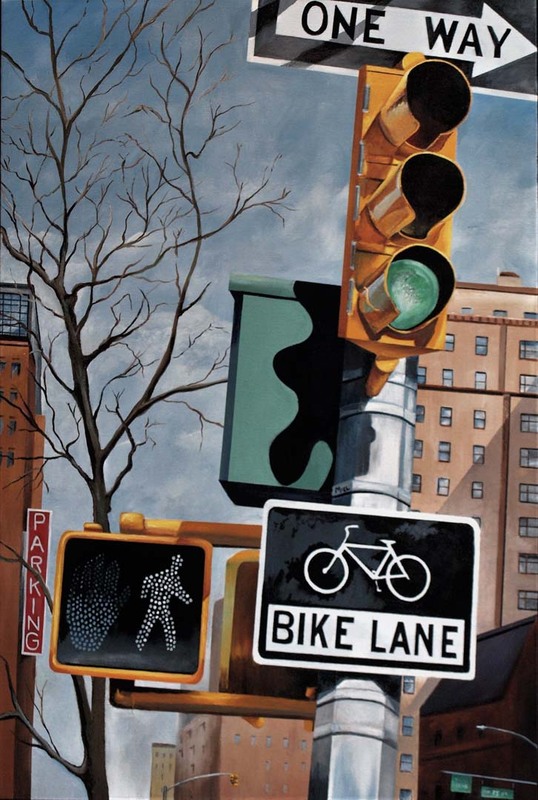 My aim is to explore the impact of representational painting and to create a sense of space which enables the viewer to visually and emotionally become involved in the smaller· spaces of the city. 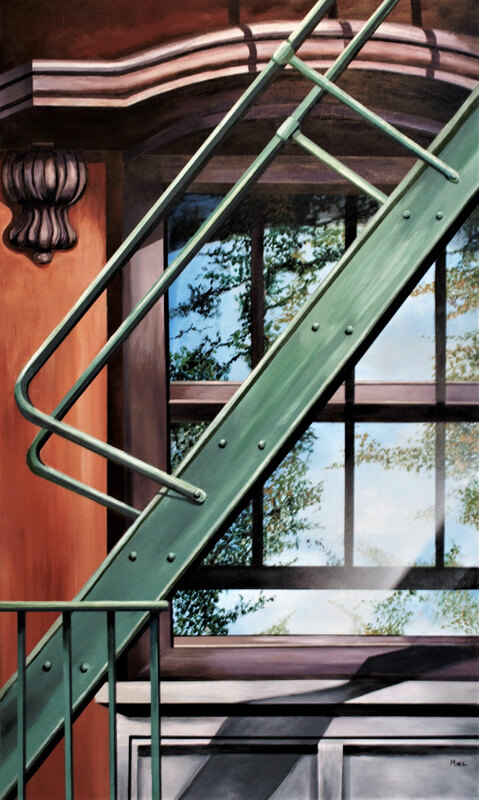 I seek to work in multi-paneled canvases, triptychs, and diptychs, to form greater visual interest. 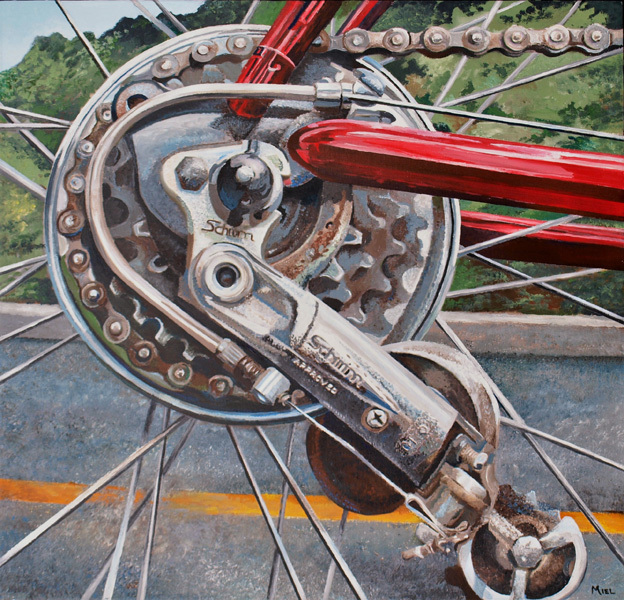 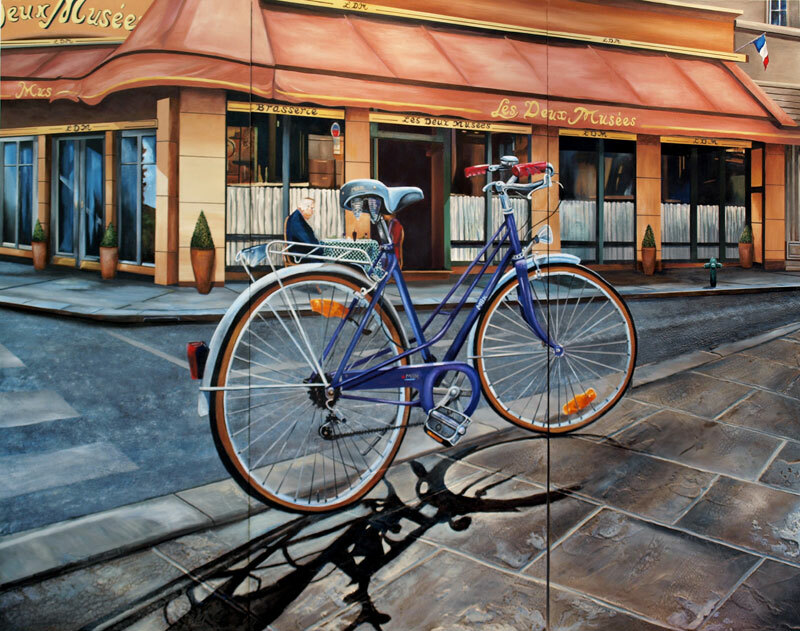 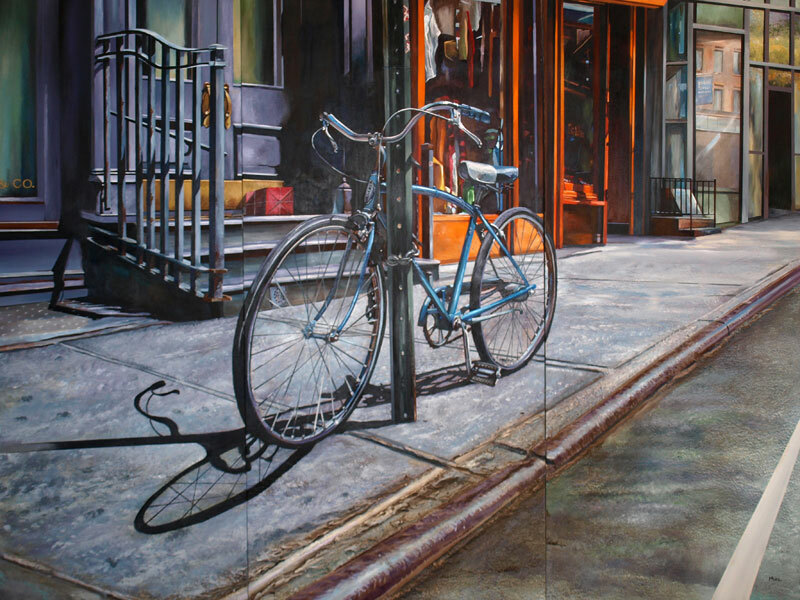 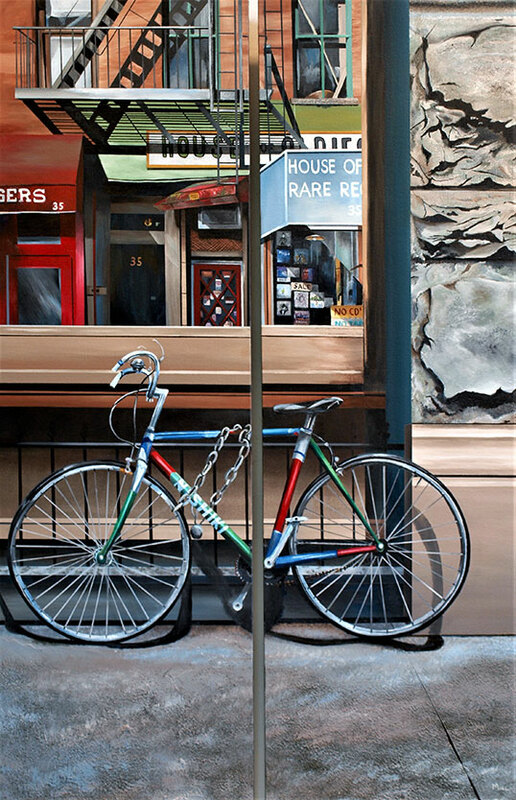 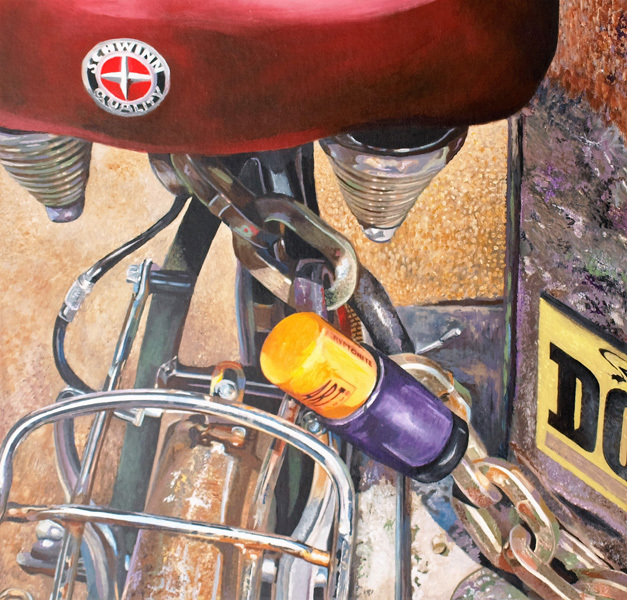 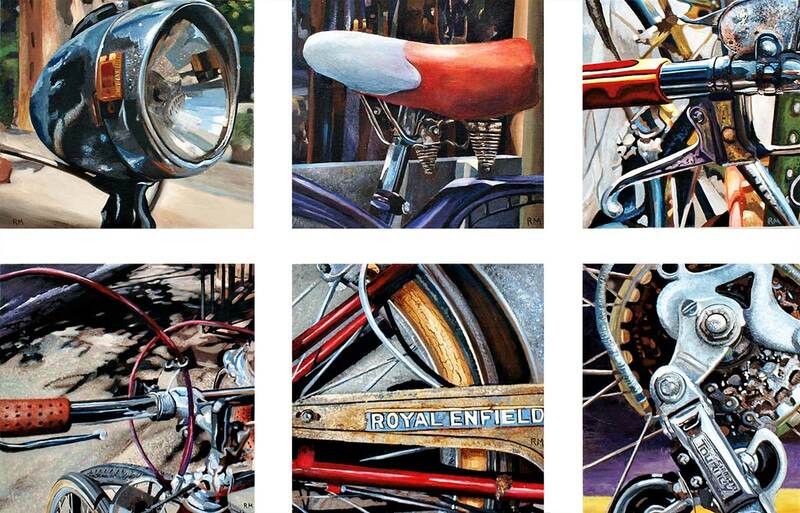 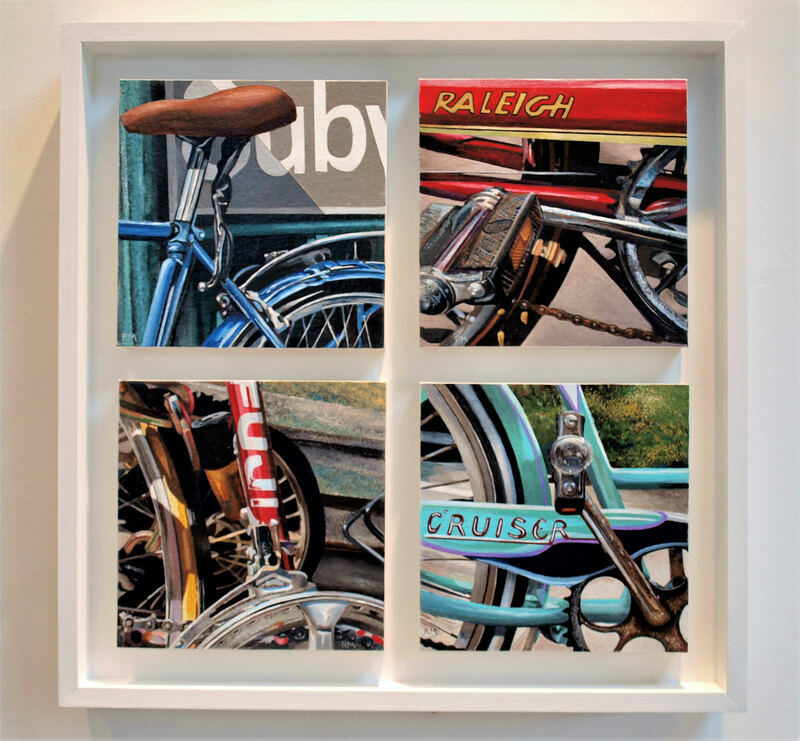 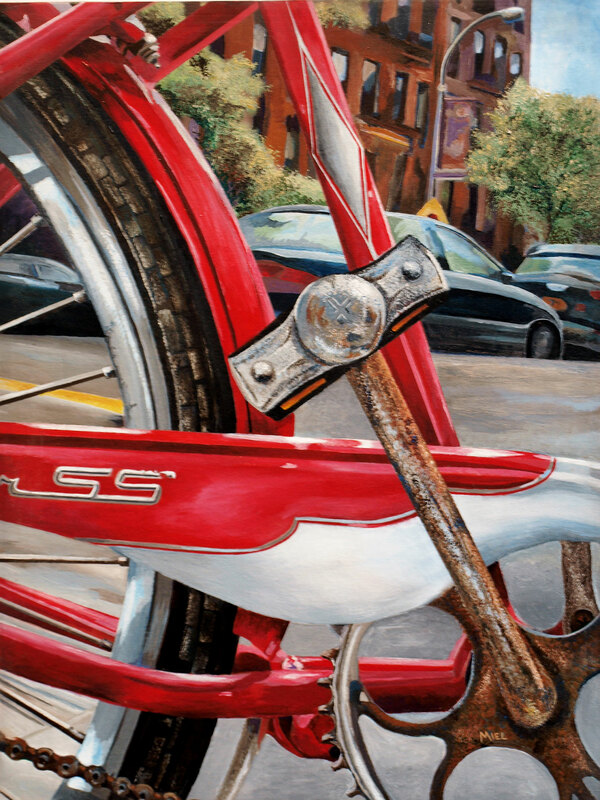 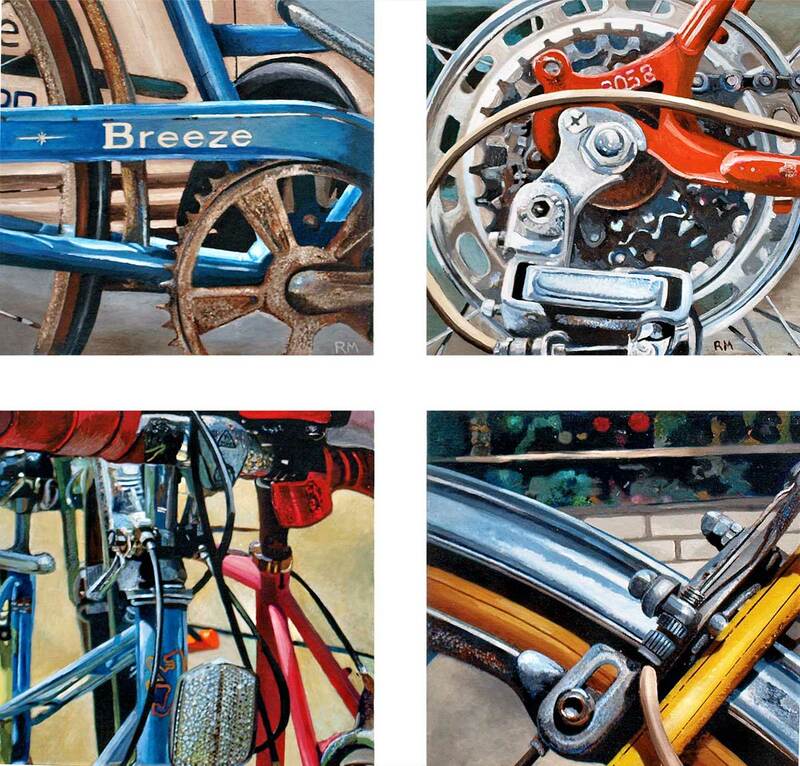 The bicycle remains as an element of interest as architecture and the street becomes more prominent in the compositions. 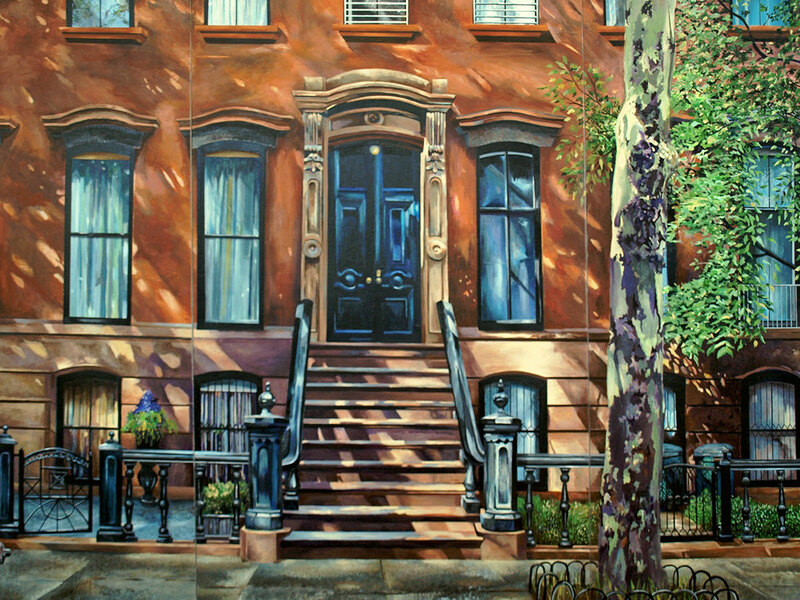 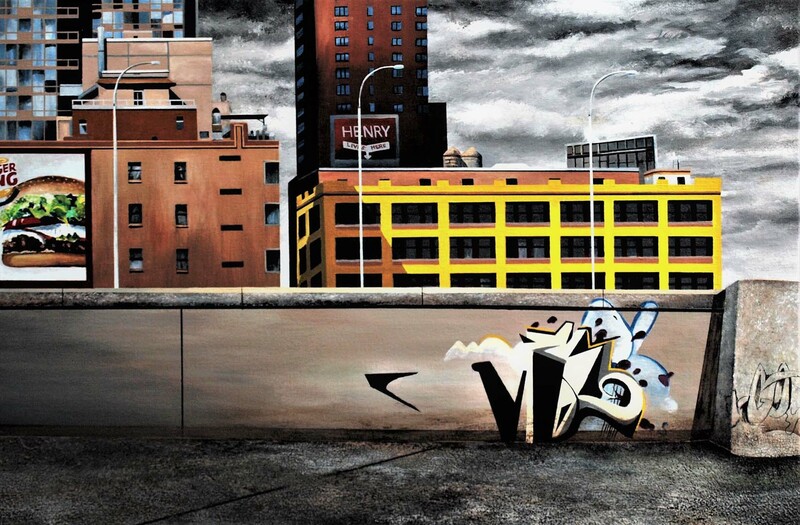 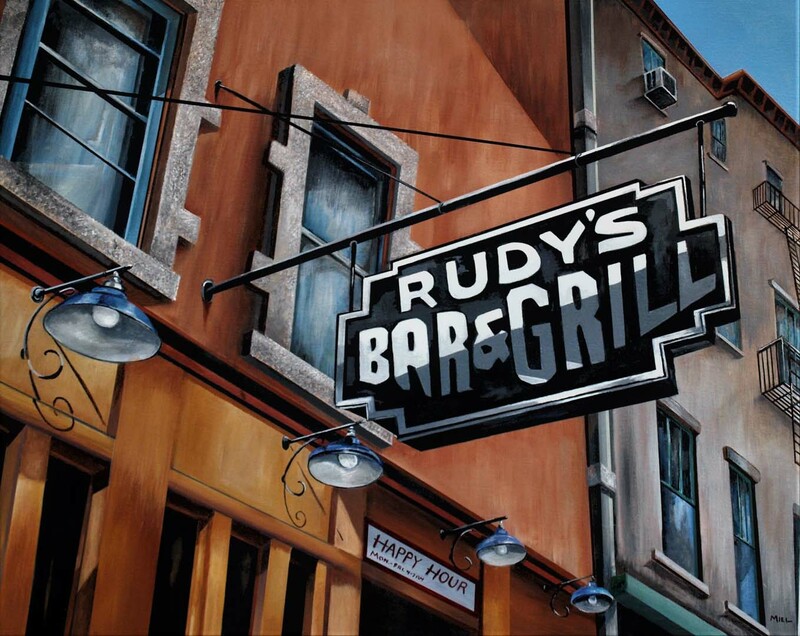 The urban landscape with its awesome walls, windows, textures, and light compel me to paint! 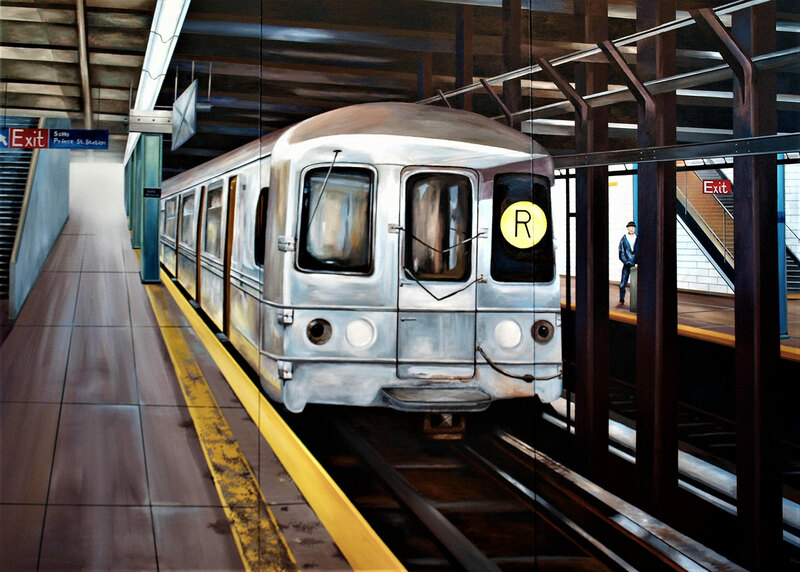 The work embraces a sense of past and present, stillness and motion, the remembered and forgotten.